Seth Godin always has good material on his blog. Below is a recent post that relates to lean thinking. The reasons? Well, they don't work. They don't work because big events leave little room for iteration, for trial and error, for earning rapport. And the biggest reason: frequent cheap communication is easier than ever, and if you use it, you'll discover that the process creates far more gains than events ever can. What Is Your USP? Clean Restrooms? What is your USP or unique selling proposition? 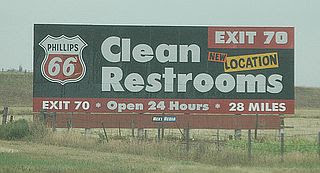 If you are a gas station on a lonely stretch of highway your USP may be clean restrooms. What is it that makes you special and stand out from the crowd. This thought started simmering in my mind because of two conversations I have had recently. One conversation was with a customer who was considering moving to a new city but he still wanted to work with our company because of "the way we treat him" and he can't find that from other printing companies. In other words, his experience was unique. The other conversation was with a different customer who was worried one of our CSRs was no longer with the company and she was worried about the person. When I told her that she was still with the company and was doing well the customer felt much better. She said the CSR was one of the best in the city. In other words, the CSR was unique. Our company is now in our second year of having a formal strategic plan. In the past we have always had annual, quarterly and monthly goals but they were not organized and connected to each persons personal goals. Each employee of the company now has a PDP (Personal Development Plan) that has four personal work goals and one personal education goal. These five goals are then connected to the department goals and ultimately to the company's strategic plan. The first year we did this went well but the execution didn't happen the way it should have happened. When we ended the year there were many goals that were not completed or that were only partially completed. The second year we started looking at the goals from a perspective of what a person can focus on and decided that any more than 5 goals per person complicated the process. There is a blog I read on a regular basis called Evolving Excellence. This week there was a link from that blog to an article in the Wall Street Journal that discussed why lean programs fail. Specifically the author focused on why Six Sigma or Lean manufacturing initiatives fail and the conclusion is interesting. These programs start off with the best of intentions and then before long they loose steam and get put on the back burner. 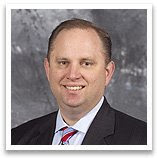 The author states that "recent studies, for example, suggest that nearly 60% of all corporate Six Sigma initiatives fail to yield the desired results." After performing a five year study, the author, Satya Chakravorty, noted that generally these programs start with the help of an outside facilitator who is able to lead the groups to early and significant improvement. It is after the outside help has left the daily operations that the initiatives loose steam.